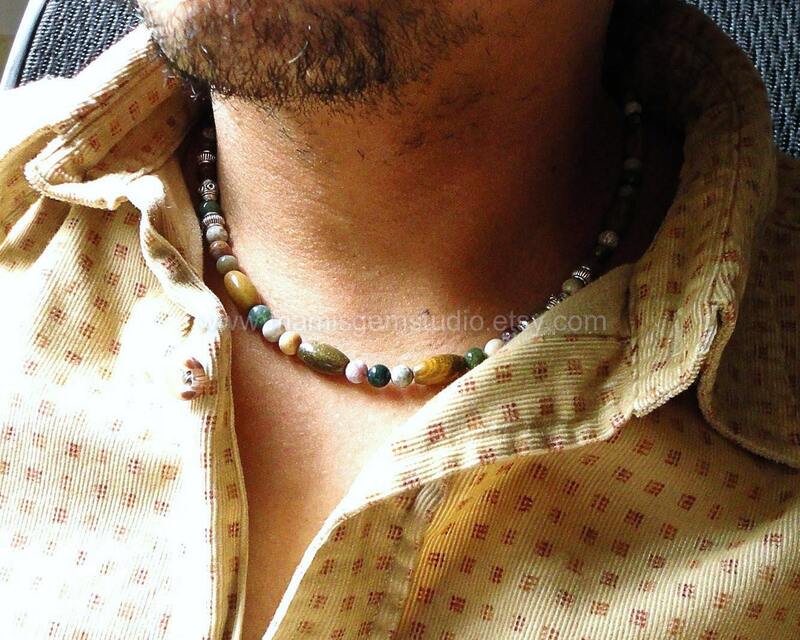 This beaded casual necklace for men and unisex features the rare natural stone called "Ocean Jasper" from Madagascar which has unique patterns and multi-colors in green, brown, mustard, maroon, caramel, white, and more! I accentuated with some antiqued silver finish pewter beads, and finished off with a stainless steel large lobster clasp. All metal materials are lead-safe. The pictures represent a similar item you will receive in quality and shades.